Following his International Call Up in November, Caelin travelled to Rock Celtic F.C grounds in Co.Louth to pull on the Green shirt for the first time in an official capacity and following the first games defeat Caelin made his debut starting the game on the right of midfield playing as a winger. 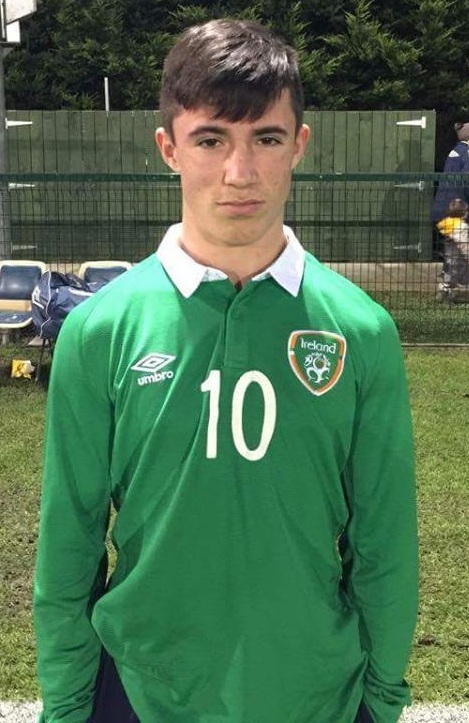 Poland would go on to win this game 2-1 but two nights later Caelin enjoyed the taste of victory in an Irish Shirt for the first time on as Republic Of Ireland U15 beat Poland 3-1 with Caelin playing the second half and having a very impressive game. With Poland leading 0-1 at the break Caelin entered the fray and helped his side overturn that deficit and go on to win 3-1. So after the two games on the Tuesday and Thursday Caelin has two official Caps to his name and no one can ever take that away from him or his Club Clashmore Ramblers . We are Delighted to say we have an International Player from our League and we hope Caelin can inspire many more to wear the Green of Ireland as the future looks bright with some fine players currently playing with our various Development Squads.